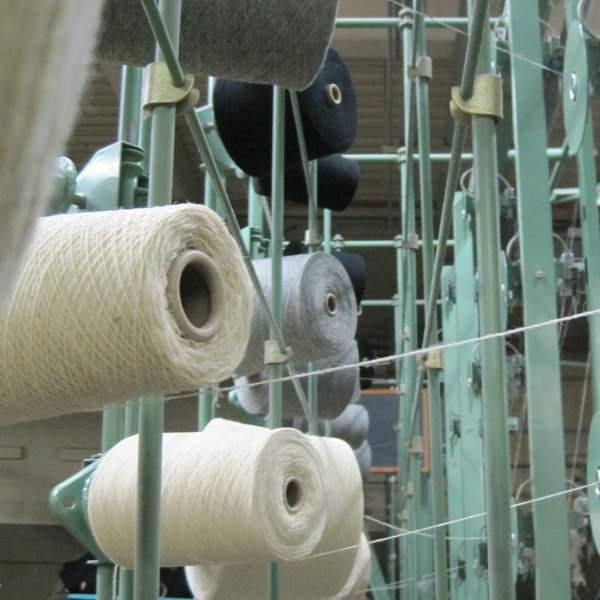 Capabilities | Crescent Woolen Mills Co.
Crescent Woolen Mills converts natural and synthetic fibers into spun yarn on the woolen system in its 98,000 square foot manufacturing space. 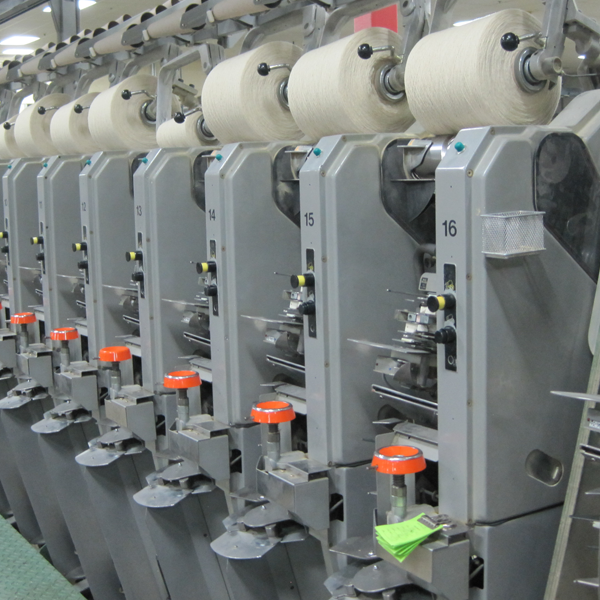 The quality of raw fibers is inspected and the spinning process is controlled and monitored under one roof, using state-of-the-art equipment from around the world. 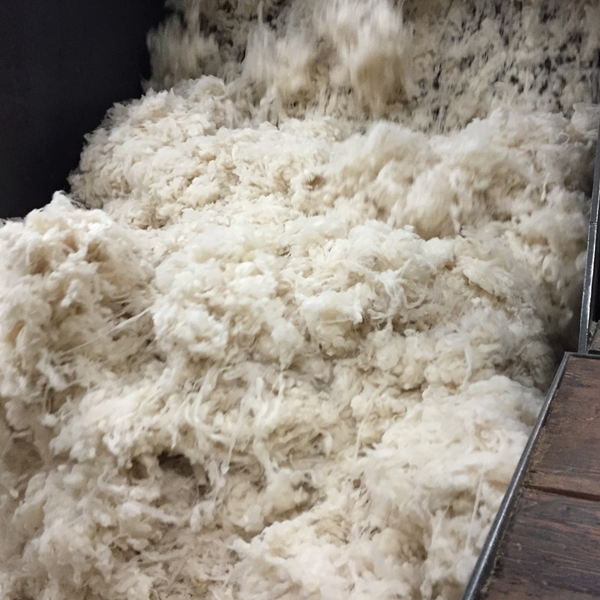 BLENDING– this is a process where different fibers are put together to form an intimate blend of different types of fiber in one yarn such as wool/nylon, wool/silk, wool/alpaca, alpaca/angora, etc. CARDING– this process opens the fiber in a “carding” process and causes the fibers to align themselves in a parallel fashion. Carding determines the alignment of the fibers and also the weight (or thickness) of the yarn. 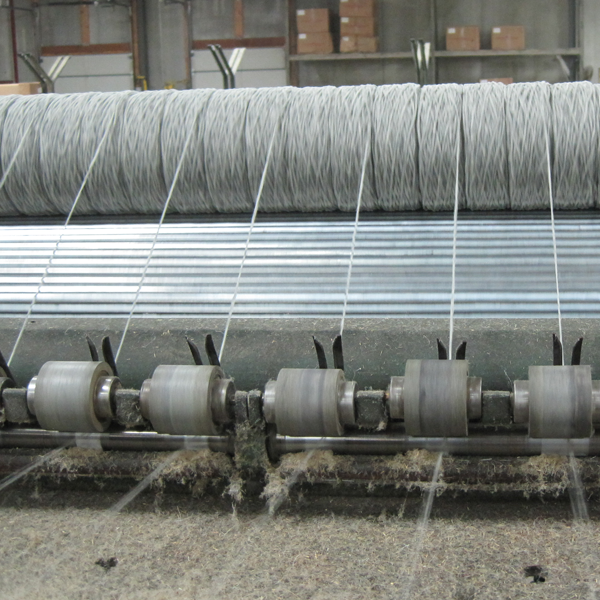 The weight of yarns spun at Crescent Woolen Mills is computer-regulated to continually monitor the amount of fiber entering the machine. The end-product of the carding process is called roving. The roving is then wound onto spools. SPINNING- wound spools of roving are taken to the spinning frames and a primary “twist” is put into the roving to give it strength. The degree of twist is expressed in twists per inch. Both the speed of the spinning process and twists per inch are established and then maintained and monitored continuously throughout the process. The end-product coming off the spinning frame is yarn and is wound on a bobbin. 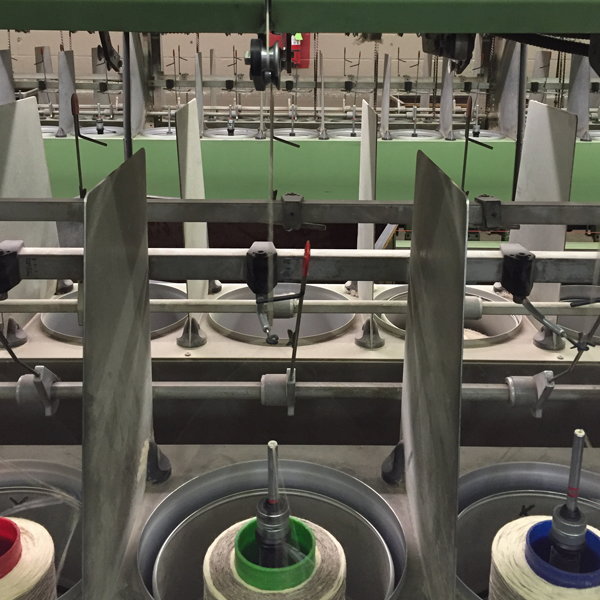 WINDING- in the winding department, all yarn is transferred from bobbins to cardboard cones. During this transfer, if there are any imperfections or thick or thin spots in the yarn, the computer-controlled automated clearers cut out the problem area and the yarn is then air-spliced back together. This insures a uniform consistency to the yarn Crescent Woolen Mills spins. 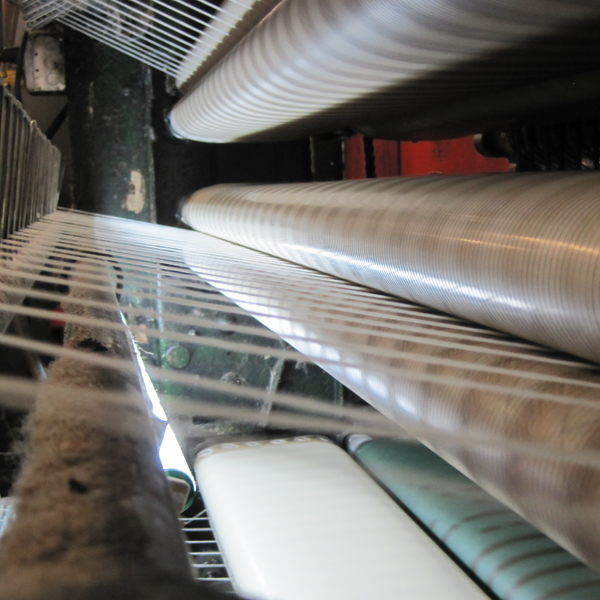 The air-splicing technique and the elimination of knots greatly improves the knitting and weaving productivity as the yarn moves much more efficiently through those processes. From here, single-ply yarn is packaged and shipped to the knitter or weaver. TWISTING- the tubes of plied yarns are then placed on a twister which puts a secondary twist into the parallel, plied yarns. This twist is computer regulated. Twist is expressed in “twists per inch.” The yarn then goes from the doubling tubes onto cardboard cones, and is packaged for shipping to knitters and weavers.